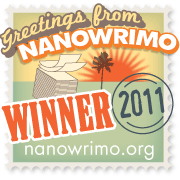 My blogging friend Dianna just presented me with three awards. Wow! That is certainly a nice way to start the day. And Dianna knows a thing or two about starting the day out right. She usually does this by seeking a sunrise to share with her followers, or sits outside waiting for the perfect shot of a sunset. This takes determination and patience and I applaud her stellar efforts. So that means I am thrilled that she thought of me when she was passing these along. Thank you Dianna. 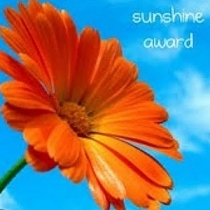 The first of these is the Sunshine Award. Favorite color: Blonde. I spend a lot of time trying to maintain this color so it must be my favorite. Favorite animal: Dogs, especially German Shepherds. Favorite non-alcoholic drink: Coffee. Can’t start my day without it. My passion: Excluding family – writing. For as long as I can remember, stories and conversations lived in my head. Prefer getting or giving presents: Oh this is tricky. I prefer giving but getting isn’t too shabby either if I’m being honest. Favorite pattern: I’m not sure how to answer this one. Butterick? Simplicity? Circles? Help! Favorite flower: Lilacs – for scent. Hydrangeas for their longlasting mopheads. 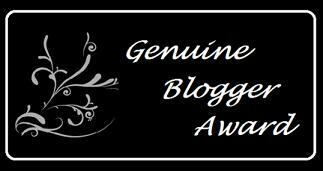 The Genuine Blogger award doesn’t come with any stipulations, but I’m really tickled to receive it. Genuine is good. As for the Hug (Hope Unites Globally) award, you can read all about the origins of that here. And the only requirement for accepting the HUG award is to pass it on to at least one other person. I am passing along these awards to the following bloggers. Arindam who I think actually gave me the Hug Award but I don’t think he has the Genuine or the Sunshine and definitely should. Lee who is a mentor. She shared my writing school experience and maintains a wonderful blog about life and travel and challenges. She recently caught a rare Firefall effect in Yosemite. Check it out. Another Dianna who shares a love of horses and all things outdoors. She’s also a sports mama and although my son didn’t play hockey, he played baseball – very competitively. 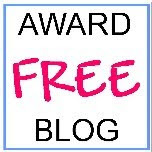 And Melynda who needs a few awards for not just maintaining a blog, but doing so under stressful conditions. Visit her site and send her a few good thoughts. Many others come to mind, some who are definitely award worthy but either don’t like them or are pressed for time and would rather not participate, or recently received several awards or I thought might be presented by one of the other fellow awardees. So, if I didn’t include you in this round of awards, I’ll catch you next time. For now, enjoy the sites of these few and go check out Dianna’s elegant sunrise and sunset shots. You might even get a few barns and fences, or a pair of swans – all good stuff. Previous Previous post: It’s Leap Year Ladies! Shall we refer to you as Meryl from this point forward? Yes, I can Streep for you! You my friend deserve all these awards! Thank you for including me. You are such a sweetheart. Thanks for all the sweet compliments! Enjoy your awards! Ditto. And thanks again for thinking of me. Coffee is running the world. Starbucks for President! A lot of people turn up their noses at Starbucks, but I happen to like my three shot latté grande, and I can count on it to taste just right wherever I go. So great that you were honored with these awards. You have a great blog, my friend. Congrats. Thank you so much. I feel the same way about your blog. We are definitely blogging buddies Arindam. I’m lucky to call you friend and the kindness goes both ways. Congratulations! When I was a camp counselor so many years ago, I fell head over heels for the guy running the camp farm. He kind of looked like John Denver, and he had a dog named Lucas. Lucas was a German Shepherd. After the campers were asleep, I’d visit my John Denver on the farm and around 3 in the morning, I’d head back through the dark woods, to my cabin. Well, Lucas would always go with me, guiding me through the trees to my cabin. When we’d reach it, he’d fall asleep at the foot of my bed and in the morning when I awoke, he’d be gone, back to the farm. My John Denver was cute, but it was Lucas who won my heart. I think the world of German Shepherds! What a great story Monica. Sounds like you stole the heart of Lucas as well as John Denver. Congratulations to you! Well done and just in time for a whole weekend celebration, too! Thanks Ashley. We’ve both had things to celebrate lately. Well, we do have the largest investment in that color, no? At least that’s my reasoning. Glad you enjoyed the post. Thank you so much for the awards. I need to get busy figuring out other worthy recipients. (I have one other award lurking in my Inbox [so to speak] that is still awaiting those choices as well.) This week/month I’ve got to get organized. And are you doing the anti-November NaNoWriMo? I seem to remember that being a March madness goal for you. Also, I publicly stated my intention and someone (you) remembered to hold me to it. Congratulations on your awards. Loved your answers…hee…hee Even in simple questions you give such original answers. I do enjoy reading…don’t always comment…but you always give us something timely to think about. Thank you for showing up. I guess I’m always looking for a little humor. Thanks for playing along with me. Blonde – great answer – HA HA HA! Thanks MJ. You are one of my favorites as well. Thanks Nate. Glad you approve of my answers. Thank you and Congratulations!! Oh my…I just loved *all* your answers!